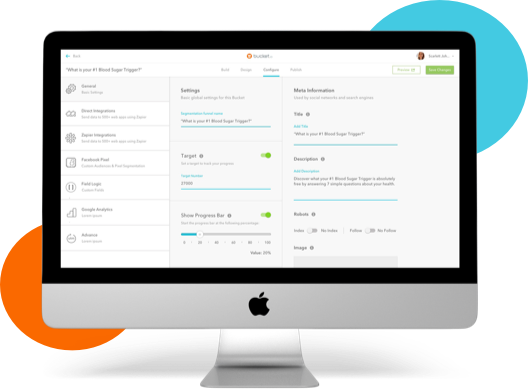 bucket.io is the simple, effective way to segment and convert your audience using powerful quizzes, assessments and surveys. For more information, download these 7 Lead-Generating “Quiz Funnel” Templates. 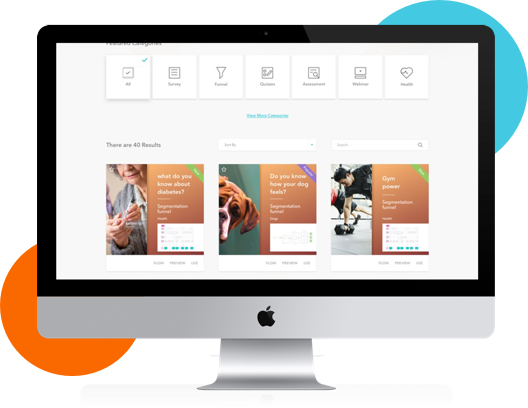 Choose one of our pre-made, ready-to-roll templates to get your funnel, quiz, survey or assessment up and running in minutes! Your brand is important. With bucket.io you can easily customize images, colors, logos and more to create the look you want. Using bucket.io‘s revolutionary Pixel Segmentation™ get an unrivaled edge when advertising and re-targeting on Facebook. 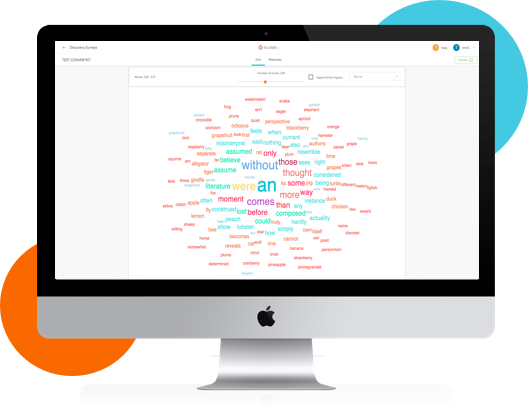 Gain insights into your customers that you’ve only ever dreamed about with Word Clouds, Google Analytics Integration and more! Need to create a customer survey? Have a lead magnet you want to build a sales funnel around? 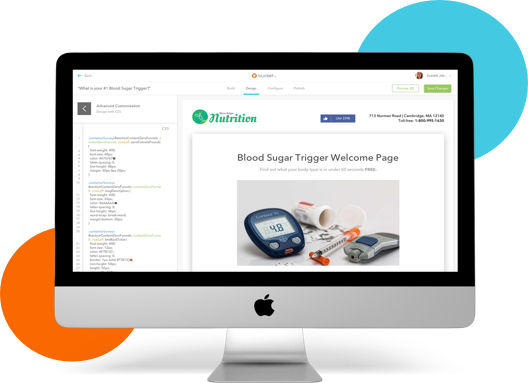 Wanting to help people choose the right product on your website? We’ve got easy-to-use Templates, which you can add to your bucket.io account with the click of a button. And with just a couple more clicks you can customize it to be EXACTLY what you want. Be up and running in minutes with a beautiful survey, funnel or quiz! Many survey tools are extremely limited when it comes customizable design features. But with bucket.io you can create highly visual quizzes, funnels and surveys using our sleek and user-friendly drag and drop interface. No “cookie-cutter” approach here! Make your pages look beautiful, engaging and unique to you! Using bucket.io‘s revolutionary Pixel Segmentation™ you can get even more accurate and powerful targeting using Facebook Ads.